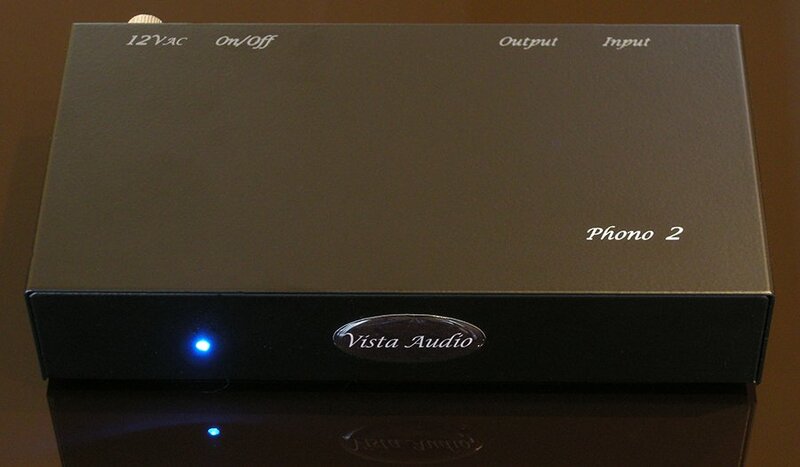 The 2108 is part of the 2100 Series and is Boulder’s reference level phono preamplifier. The 2100 Series is Boulder’s highest-performing product line in continuous production. 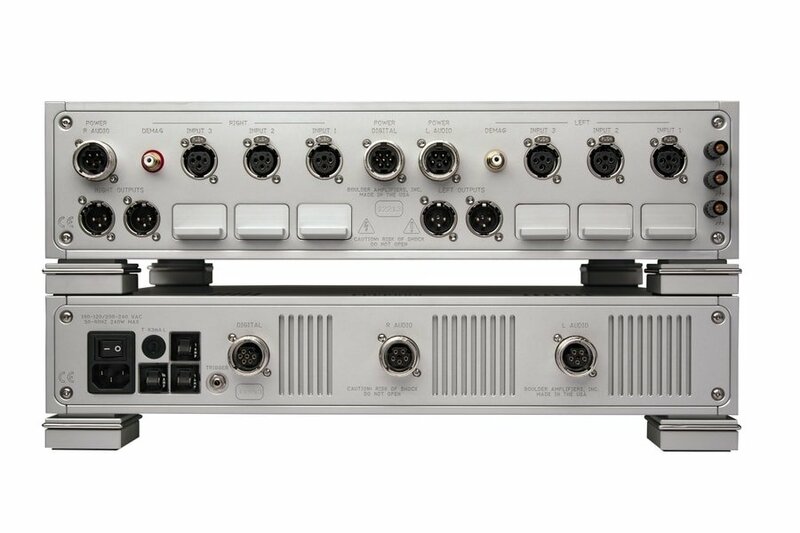 The 2108 features several advancements over the previous generation 2000-level phono preamplifier, including the use of better ground paths and planes, revised circuit topology, and lowering of the static noise floor. Increased use of surface-mount PCB technology, manufactured on Boulder’s own SMD manufacturing machines and ovens has also yielded improvements. In addition to the standard RIAA EQ curve, the 2108 features three additional curves selectable via a front panel button: FFRR, Columbia, and EMI. These equalisation curves enable correct and accurate playback of LP records made prior to 1954. All audio electronics and control functions are contained within a machined aluminium chassis and all power supply and standby circuitry is housed in separate casework. The 2108 uses Boulder’s own 995 gain stage, has an MC Cartridge Demagnetizer Pass-through and a fully Balanced, Dual Mono Construction. It has three Inputs and two outputs. 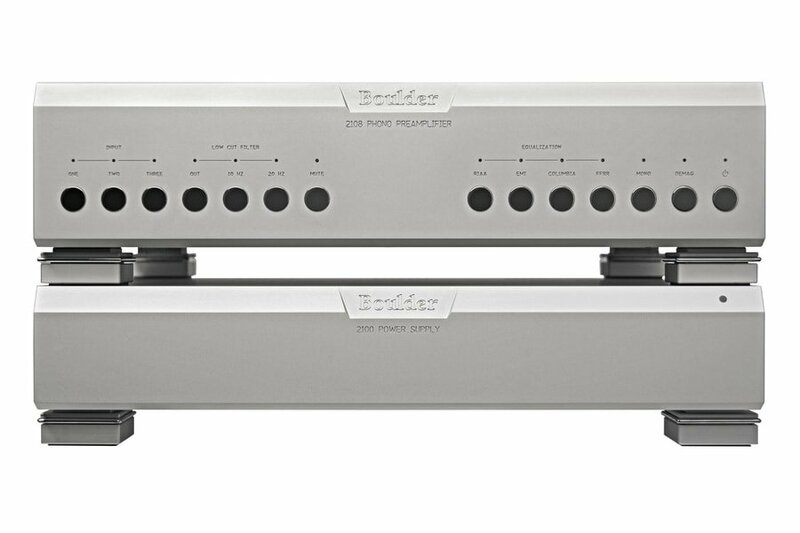 The suggested US retail price for the Boulder 2108 Phono Preamplifier is $52,000. Export retail pricing will vary.